Today I have modified a 2M 5/8 mobile antenna for use on 6M. The antenna is extended and there is a reasonable SWR on 6M. Later this week, I make the final modification. Next week I will do some WSPR experiments (from JO33IC). This means that I'm active with a power of 100mW or 50mW. This is mainly on 30M but maybe also 6M, when there is propegation. Last Friday, April 23, there was a new update for the FT950 Yaesu released. Today I successfully installed it, EDSP Ver. 11.54 and Main CPU Ver. 0113. I put all menu settings to the values back again. At a later time I try-out what's change. Today I was around 16:00 UTC at home and switch on the WSPR program. This means that with an interval of about 12 minutes there is a broadcast of almost 2 minutes. Almost every broadcast of my signal is heard in Australia. It seems that the propegation is going up. I'm using my FT950 with 5 watts and the magnetic-loop inside my house. Last year I bought in Germany a AZ Tele XL mast with a length of 12 meters. This mast landed in my shed until today. Along with Eric, PE1FES, I gone a few km outside of Tiel and went on a quiet road, where we have the mast setup in the grass. Despite the weather, with occasional clouds and some rain also it blew hard. This was immediately noticed when we had the mast extended. The top curve somewhat by the wind. Our conclusion was that one set of 3 guy wires, such as the mast is supplied isn’t enough. The idea is now to make a point about halfway to where another 3 guy wires coming. Who has already experience with this mast? What should I do to make it stronger? Henk Vrolijk, PA0HPV, told about his visit to Bletchley Park. Christian Roselaar, PA3FUN, talked about his experiences with various QRP kits. 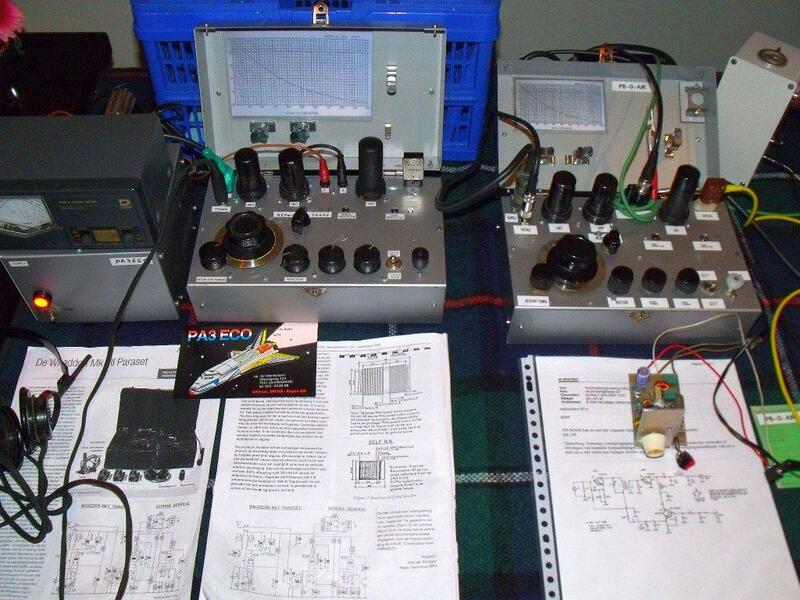 It is fun because I've built myself a Rockmite for 40M. With all due respect to the real "Old men", I had the idea that I (age 41) was one of the youngest ham's during this meeting. 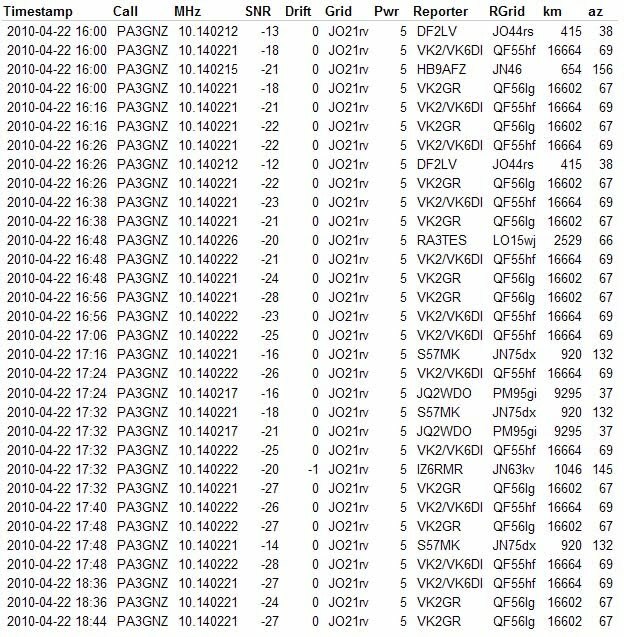 In the evening via the website Camras I listened to the signals of KP4AO. Too bad that I had no 70cm Yagi. I connected the equipment for WSPR, after a break of almost 2 weeks. First on 30M and 40M now. Propegation is poor. De Nederlandse Vuurtoren Vereniging heeft eens per jaar haar ALV, steeds op een andere locatie in Nederland. Vandaag was dit in Noordwijk aan Zee waarbij de vuurtoren in deze plaats beklommen kon worden. Een unieke kans omdat deze normaal niet voor publiek geopend is. Toen ik vanmorgen opstond was de wereld aardig in mist gehuld en ging me al zorgen maken of er vandaag mooie foto's gemaakt konden worden. Hoe dichter ik bij de kust kwam hoe helderder het werd. Eenmaal in Noordwijk aan Zee werd ik verrast door een blauwe lucht met stralende zon. Ondanks dit was de temperatuur kil, er stond een frisse wind. Na een klim van 108 treden (verdeeld over 6 verdiepingen) kwam ik bij het optiek op ongeveer 30 meter hoogte en kon dit plaatje schieten. Boven het optiek zit een glazen koepel/kap. Deze wilde ik ook fotograferen en moest hiervoor op de trap gaan staan en vervolgens zo recht mogelijk naar boven fotograferen. Op mijn site zijn nog meerdere foto's van deze vuurtoren te zien. During the Easter weekend (Saturday April 3 to Monday April 5) I did some WSPR experiments from JO33IC (Zuidlaren) and made a 2 way QRP QSO on 40M. My station is a Yaesu FT817 with a 10dB attenuator. The antenna I used is a ZEPP for 30M. On this band I had all the WSPR experiments. This antenna is on the attic and a part outside. The CW QSO, I made was with Will, GM0HKS. The nice thing about this QSO was that Will worked with a homemade transceiver of Howes. 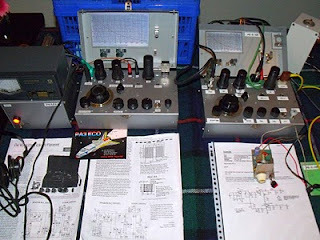 I builded this transceiver about 10 years ago but my transceiver is for 20m. At that time I had several qso's with it. Will has a sidetone in use, he goes for me to find the schematic. The experiments with WSPR had only played on 30M. I felt that the propagation was not good and was afraid that they didn’t heard my 50mW signal. First I switched to 100mW and it went. Later in the day my 50mW signal was heard. Distances were between 600 and 1200 km. Saturdayevenening was the longest distance when I saw on the WSPR site that 4X1RF in KM72LS heard my signal for 2 periods. A distance of 3186 km, and this with only 50mW! After a drive of 200km I'm still home. It was a nice Easter weekend with family visits and food. 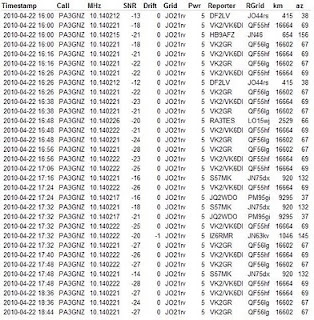 There was also a lot of time to do some radio-hobby thinks like WSPR with qrpp and made 1 cw qso. Tomorrow I write more about it. Enjoy your evening. This morning some problems to transmit but I solved. I don't know what was wrong, yesterday evening no problems. On this morning I transmitted first with 100mW and now with 50mW. Several stations in Europe hear my signal. Watch the online log. Happy Easter all, with the one you love. 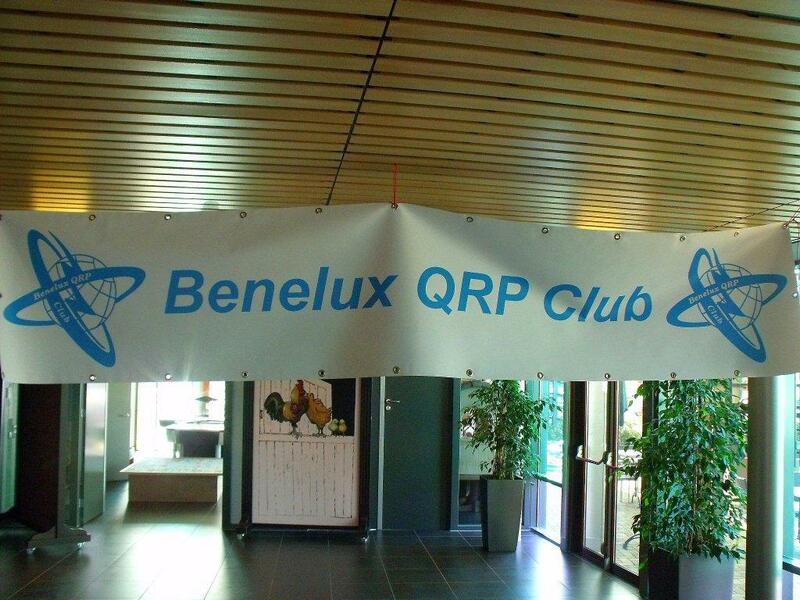 During the Easter days I try to be QRV with WSPR and CW. I want to make transmissions with my FT817 with around 100mW of power.